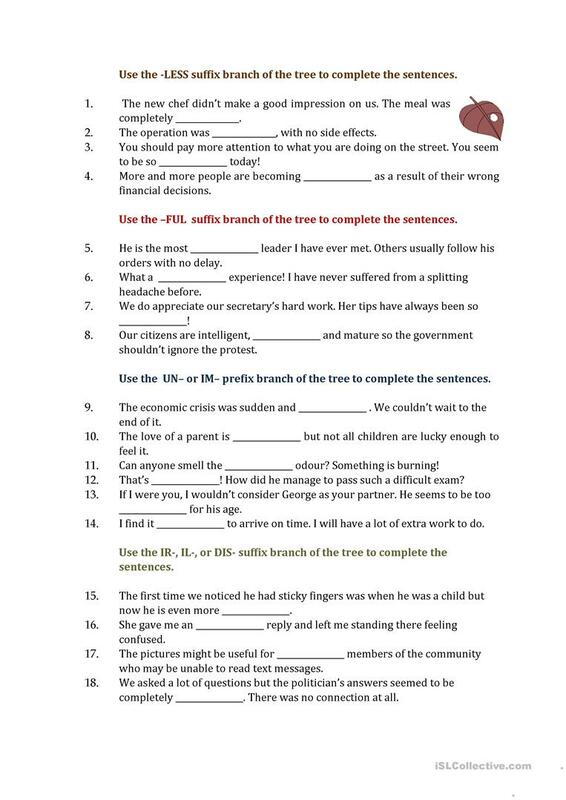 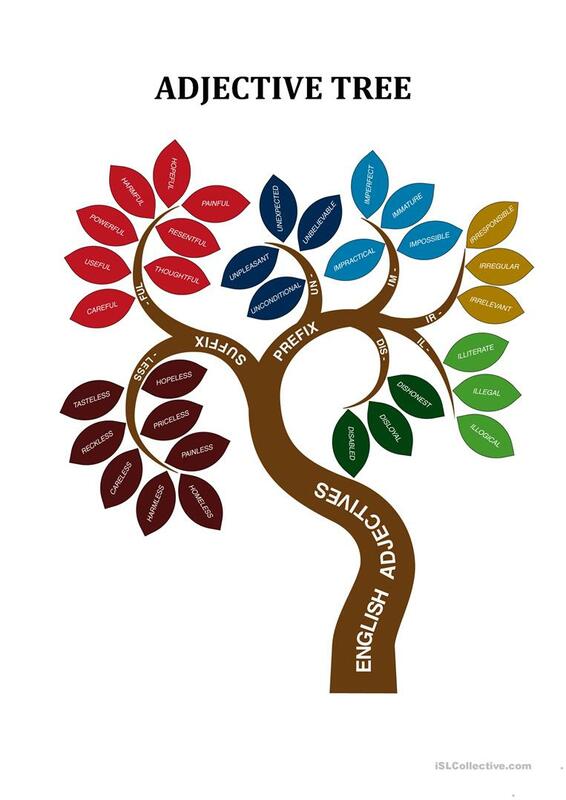 Adjective tree with prefix and suffix branches together with fill in the gaps and word formation tasks as well as the key. 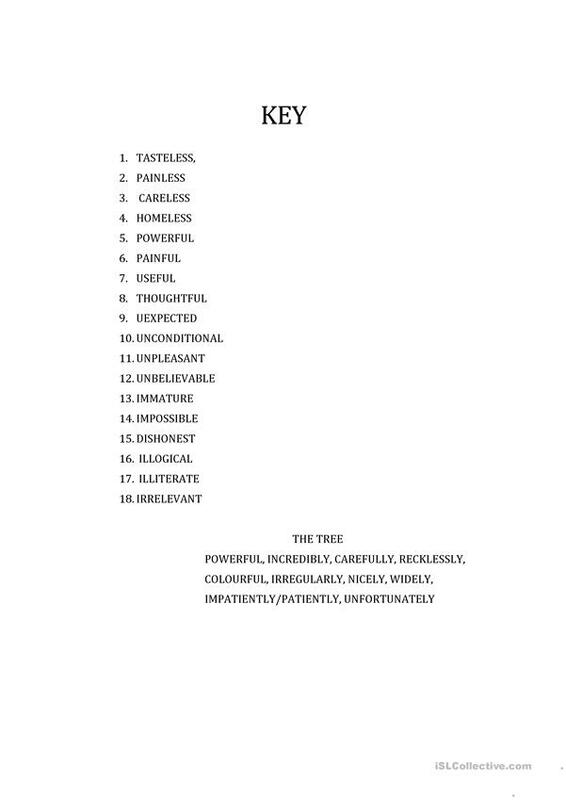 The above downloadable printable is meant for high school students, elementary school students, adults and students with special educational needs, learning difficulties, e.g. dyslexia at Pre-intermediate (A2), Intermediate (B1) and Upper-intermediate (B2) level. 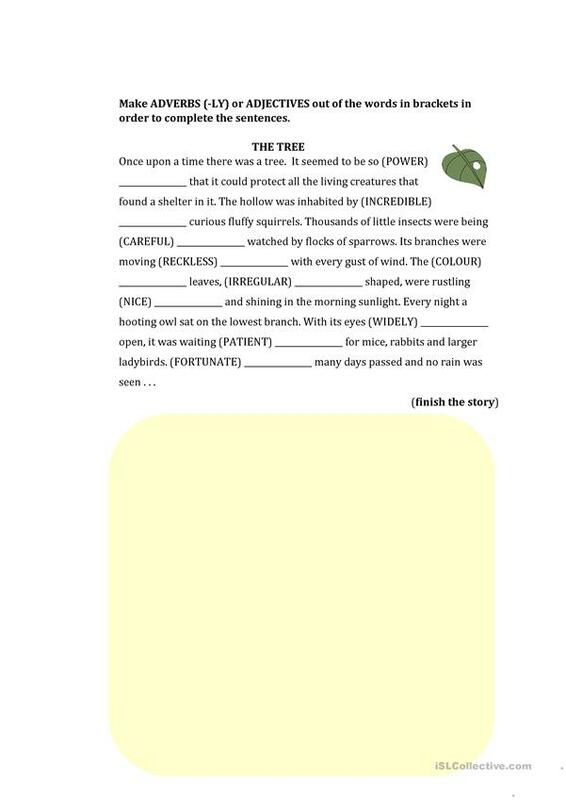 It was designed for enhancing your groups' Reading and Writing skills. The solutions are provided, too.